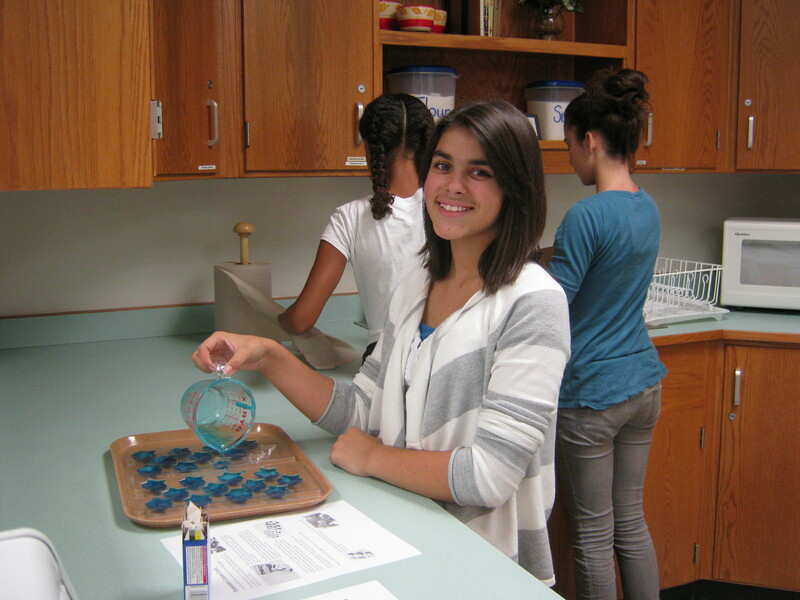 Our first FACS 4 FUN meeting took place on the 6th, and the kids LOVED it! We made our own gummie candies. This simple recipe is easy to prepare, and is a great low calorie snack. I found this recipe on www.skiptomylou.org originally. There are some fun kids recipes there! Here is the list of supplies that you will need with the recipe. Place sauce pan over medium heat and stir until gelatin is dissolved, about 2-5 minutes. When mixture is liquid and all gelatin has dissolved, remove from heat. Let cool a minute and then pour into a container that is easy to pour from. I use a glass measuring cup. 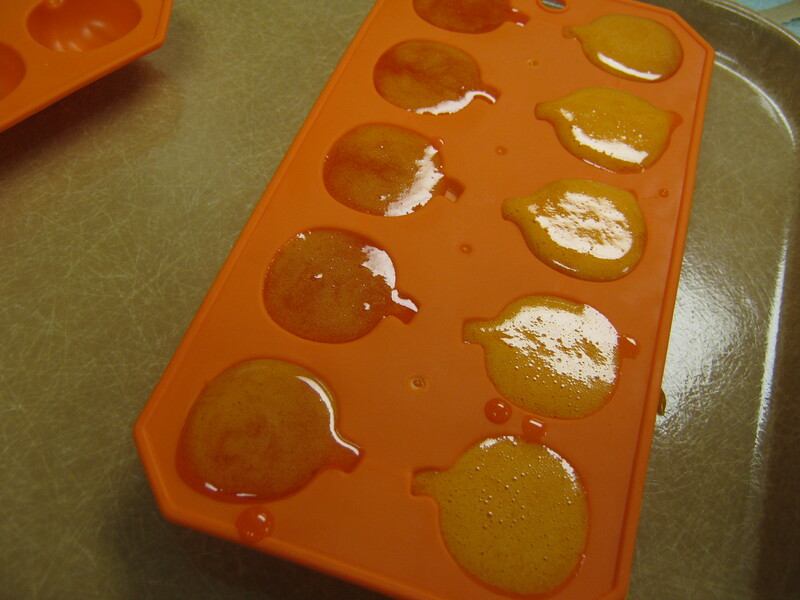 Silicon icecube trays work great - Orange Pumpkins turned out great! Fill molds. If you save the inside of the advent calendar, it works perfect! The sheet of star molds worked a bit better than the bears because they are a bit deeper. Once cool, the backs can be lightly dusted with corn starch, if desired. 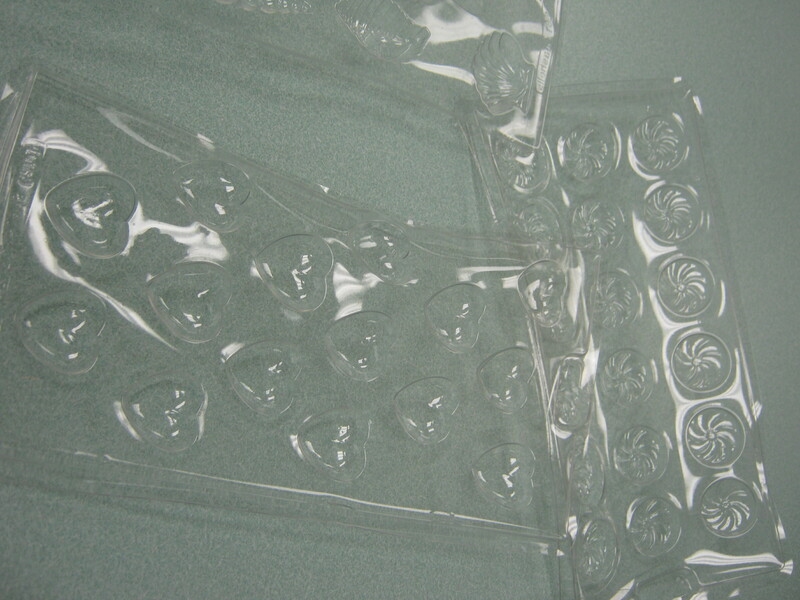 This will keep them from sticking to your fingers while you are trying to pull them out of the molds. Peel the gummi candy out of the molds. Don’t be shy, you won’t hurt them. ***When using plastic candy molds, be sure to follow the washing directions. Don’t be like Mrs. Allen and ruin your molds in the dishwasher. This is what happens when you don’t read the directions and put things in the dishwasher that are not meant for there… These molds cost about $2 a piece, however Mr. Allen had a great idea to put them on a cookie sheet in the oven at about 200 degrees and heat them for a short amount of time with a glass dish on top of them – I had to keep a close eye on them, but the molds flattened out once I took them out and let them cool – It took about 10 minutes to heat them and then just a few to cool them. 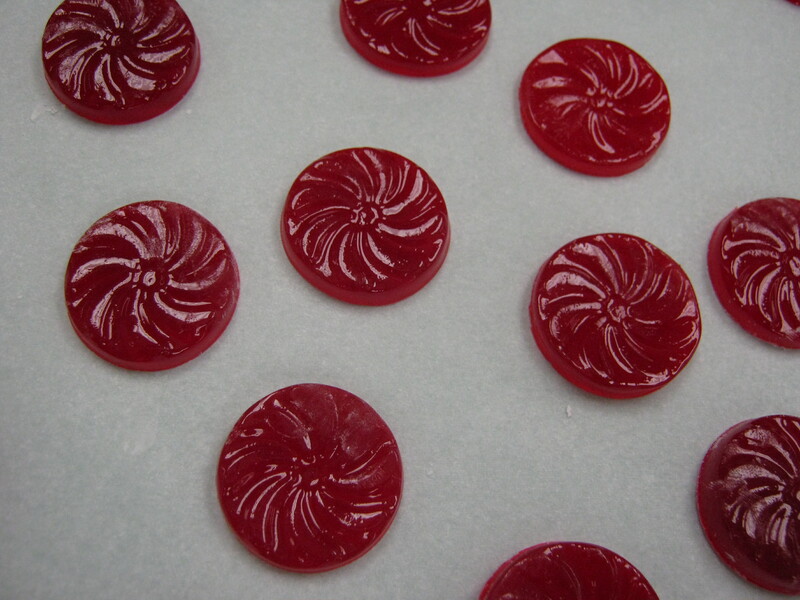 What a great idea he had, and I was able to salvage them!… Always hand wash the molds and allow to air dry. I found some great molds at the dollar store meant for ice cubes, and the jello works wonderfully in them! 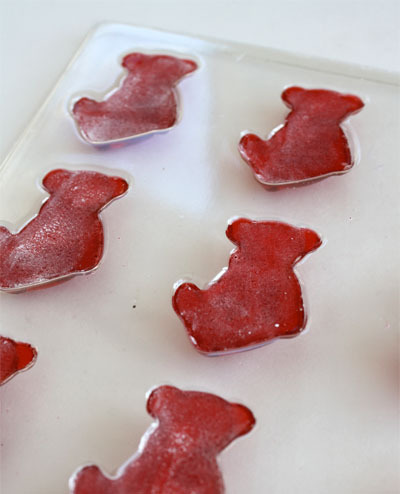 $1 a tray, and two trays will make 1 batch or gummies! 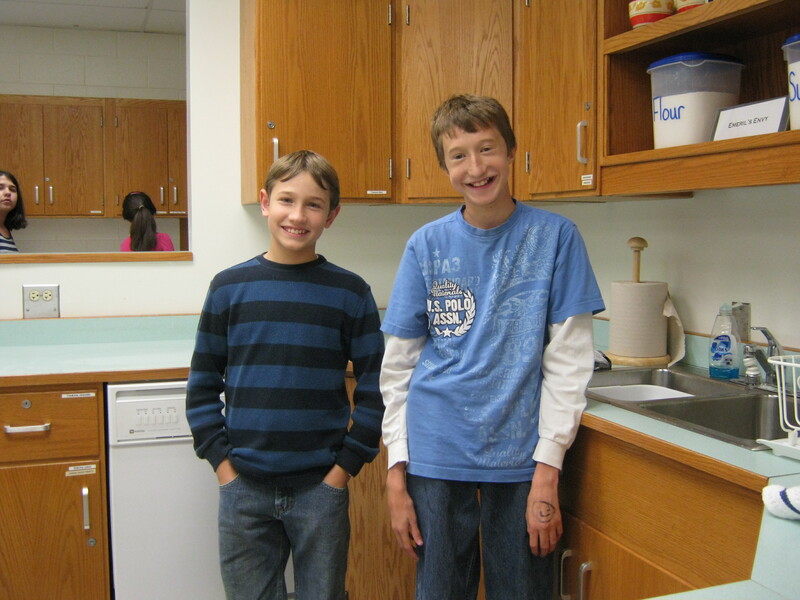 Below are a few pictures of the kids working in the kitchens on their gummies as well as doing dishes! We had a great time! 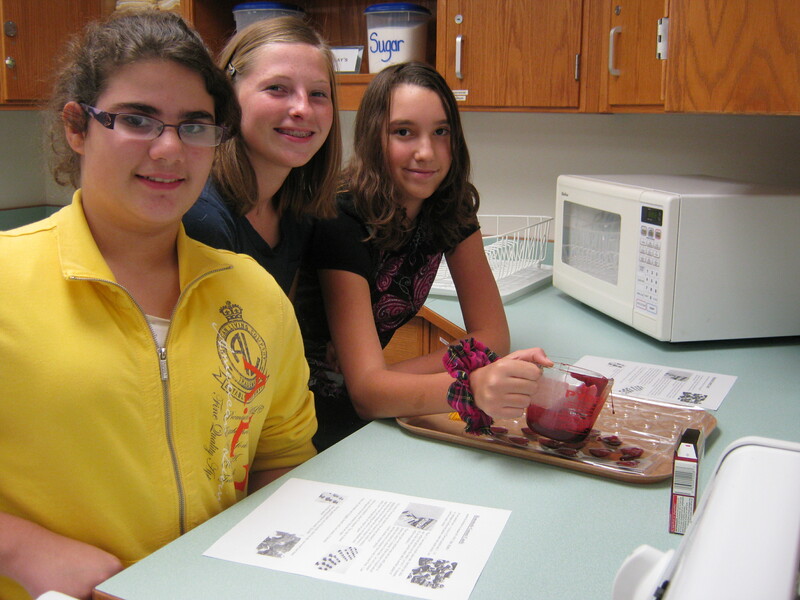 Mrs. Duhring and I look forward to our next FACS 4 FUN on the 19th of October, as we will be making the gummies again. November will bring Amish Friendship Bread – so be on the lookout for that as well! haha i did facs 4 fun it was really fun! I wasn’t a big fan of the gummies but they were still good and i’m going to the one in November. Hope alot of you guys are going too. Can’t wait for next class! The gummies were REALLY good, by the way! I did facs for fun! it was really fun!!!!!! OMG!!! This looks sooooo yummy! I LOVE FOOD!!! Ha ha ha! I love this class! It is the most fun I’ve had ever cooking and learning some very valuable information. I love cooking, I would rather be grounded from t.v. and video games rather than the kitchen. 🙂 Plus Mrs. Allen is the best (and nicest) if all the teachers I have.